Loans and balance sheet leverage will drive revenue expansion. "In this period, 3M SIBOR stayed low, ranging between 37 and 45 bps. Despite this, the three banks were able to grow net interest income on average by 10% annually by a combination of loan growth, balance sheet leverage and asset mix shifts," analyst Krishna Guha said in a report. Fees grew at a similar pace, resulting in revenue growth of about 8%. Banks, particularly UOB, have also been able to grow trading income by about 5% through market cycles. 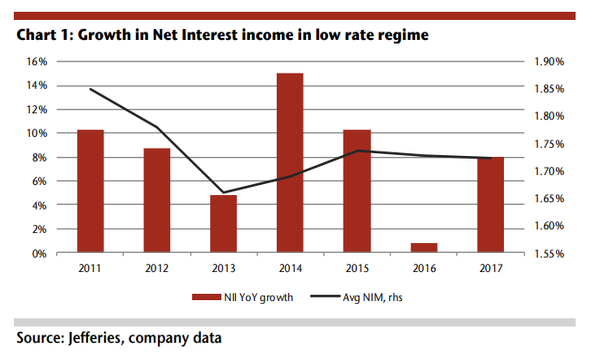 However, the expansion in Singapore banks' net interest margins (NIM) for 2019 is expected to slow down to 2-3bps whilst loan growth may fall to between 6-8% over the same period as corporate borrowing slows down. 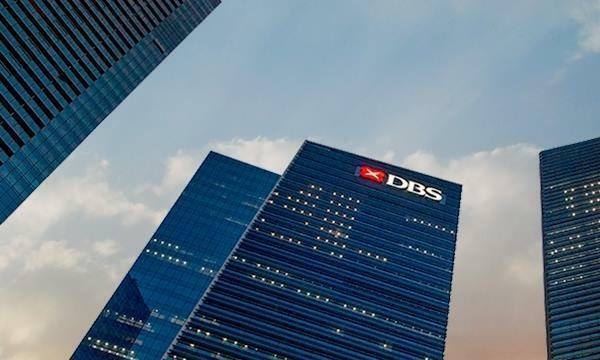 "Notwithstanding uncertain macro conditions, Singapore banks, in our view, are sheltered by a combination of inexpensive valuation, growing payout and diverse levers to sustain earnings growth," added Guha.